The leading platform for neuroscience. Enabling real-time, closed-loop control of devices for personalized therapy. Built specifically for neuroscience, Blackfynn eliminates barriers to novel discoveries by enabling frictionless, multi-modal data integration and analysis. Gain a holistic understanding across all your data, from raw data such as EEG, radiology, pathology and genomics data to the metadata that describes it. Our real time analysis tools empower you to dynamically identify patterns in your integrated datasets to create patient cohorts, visualize disease progression over time and novel biomarkers. Designed with integration in mind, leverage Blackfynn's extensive API and client libraries from the tools and analytical environments you already work in. 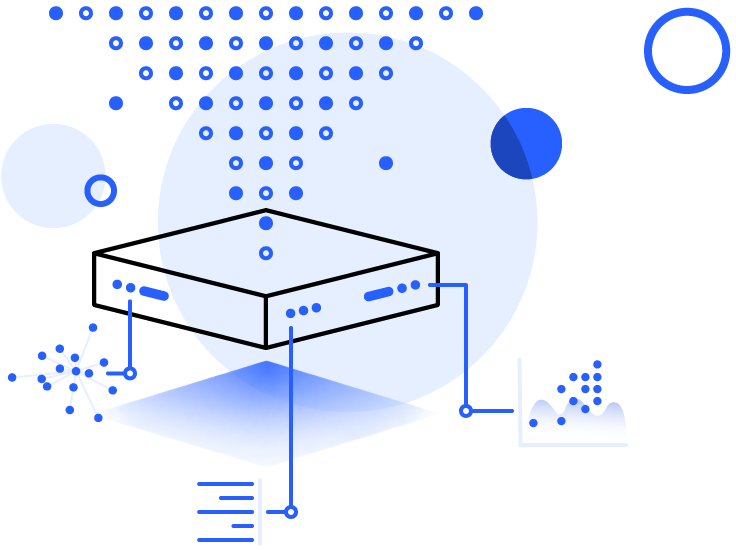 Built securely from the ground up, Blackfynn safeguards your data in a compliant manner and gives you the tools to provide access to it on your terms. Improve your probability of success, identify patient cohorts of interest, and generate real-world evidence for payers and regulators. Seamlessly manage and work with all of your data across teams, institutions and organizations. Capture the knowledge related to raw data and the relationships that exist across it with metadata that adheres to data models specific to your organization, common data elements and ontologies. Store all your scientific data in a centralized, flexible data store that accommodates all relevant modalities including EEG, radiology, genomics, neural, video, pathology, device, and clinical data. Utilize the platform across your organization or lab by leveraging the Knowledge Graph, a flexible, adaptable storage engine fit to capture the diverse findings unlocked through the exploration of your data. Keep your data safe and secure. The platform provides extensive access control tools to organize and share data based on your rules, safeguarded and compliant with HIPAA standards. Access your raw data and navigate the metadata that relates to it through a simple, secure and extensible API. Build custom applications and integrations with your existing workflows and processes. Operate on data on the platform with the languages you use every day. Retrieve, upload, annotate and analyze data programmatically through intuitive and idiomatic Python and Matlab client libraries. Rely on infrastructure that is resilient, redundant and extensible to meet the dynamic needs of your organization. Increase the value of your data and the metadata around it equipping your team with the tools to discuss, annotate and explore it together. Visualize, explore and annotate your data without the need for 3rd party tools and regardless of its original file format or source through interactive web-based viewers. Increase accessibility to data across your organization and the broader scientific community. Publish datasets to consortiums and to the public. Discover datasets of interest, shared by your organization, consortium or the public domain. Leverage them in the context of your work.